A couple hours on Trough Creek. 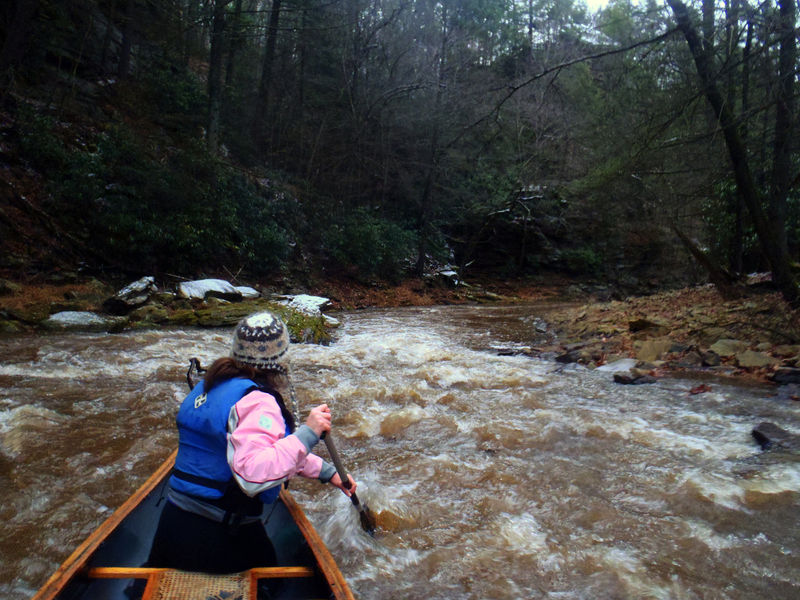 When it comes to paddling in Central Pennsylvania, Trough Creek (aka Great Trough Creek) is undoubtedly one of my favorite spots. 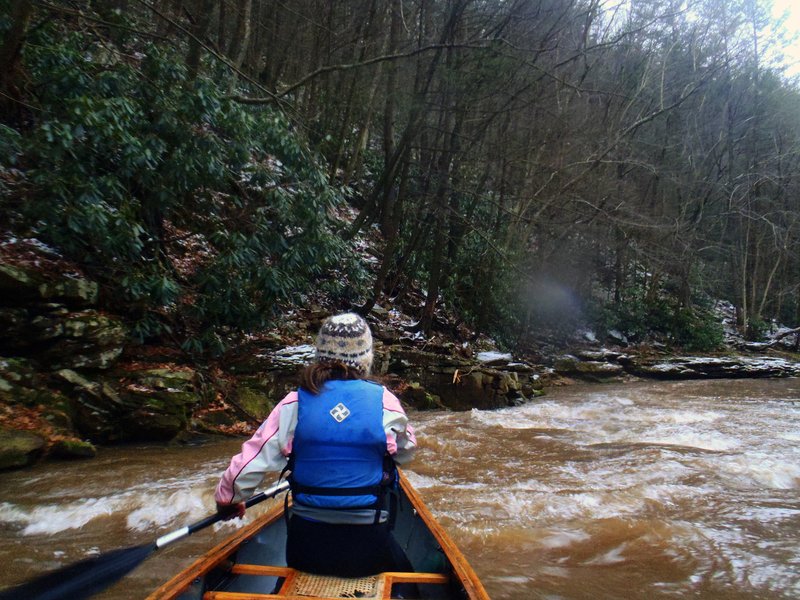 Nestled in a forested, rocky gorge, the class II-III run offers just enough whitewater to be fun without being too nerve-wracking. But it’s an illusive gem, only runnable at high water after a heavy rain or snowmelt. 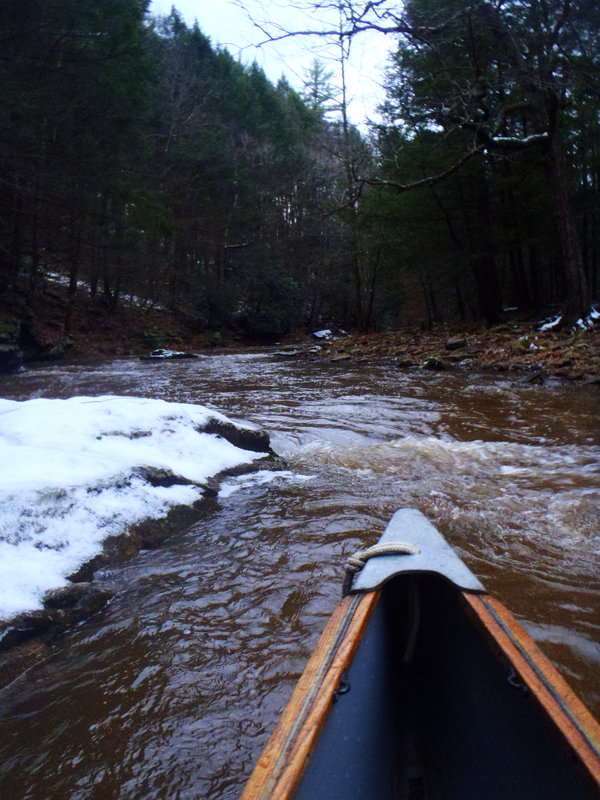 For this reason, every time I’ve paddled this little river, it’s been in the winter or early spring, cold, and most likely snowy. This week was no different. 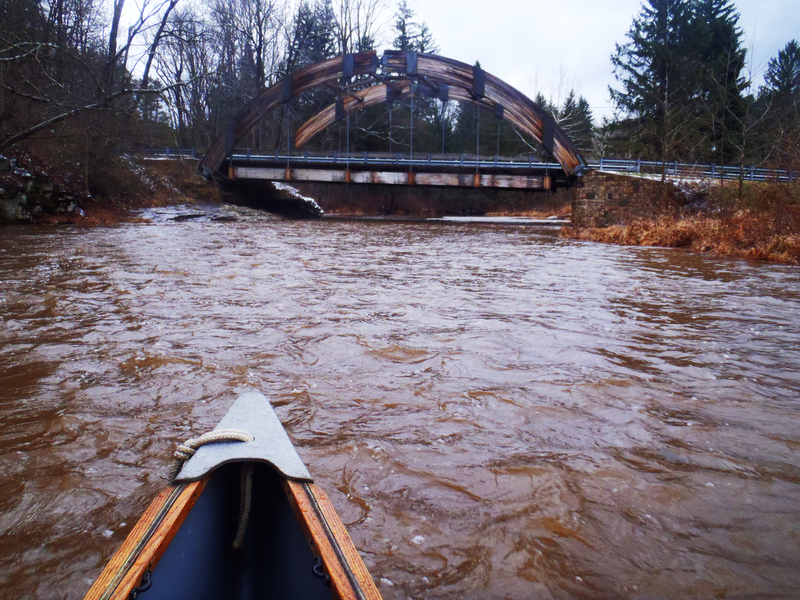 After a night of unrelenting, icy rain, we awoke last Wednesday morning and immediately checked river gauges. Little Juniata was up. The Kish was runnable. Trough Creek was still low. Way low. Slightly disappointed but still very excited for a much-awaited afternoon on the river, we decided we’d make a trip up to the Kish, and began to load the car with paddles, drytops, and neoprene. Just before we were supposed to leave, I had to run a few errands, and upon my return, as I pulled the Subaru into the back lot of the shop, Evan was standing there, awaiting me, grinning. He then broke the news to me that on a whim he had rechecked the river levels, and over the course of the morning, my favorite little local whitewater run had risen from 35cfs (cubic feet per second) to 720cfs. 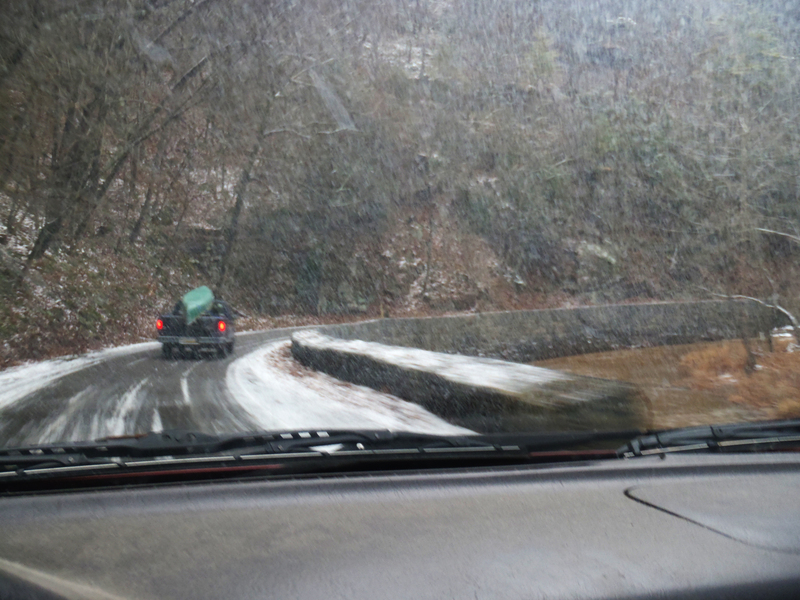 So, with renewed enthusiasm, we loaded the old Michcraft tandem canoe on the truck and headed south on Rt. 26, filled with the feelings of anticipation and excitement that come with spontaneously taking an opportunity to paddle when said opportunity suddenly presents itself. 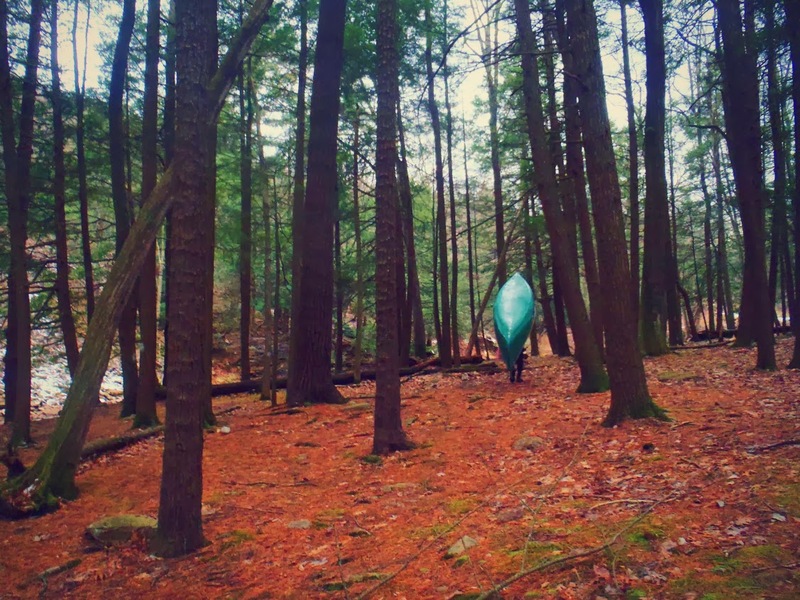 We dropped the Subi at the takeout, went through the routine of changing into paddling gear and mentally bracing ourselves against the cold, and drove the short few miles upstream to the put-in. A few minutes and a couple swigs of beer later, we were off, paddling the canoe down the muddy waters of the swollen stream, navigating through rock-filled riffles. Our tandem skills were right on, and the canoe did surprisingly well. Aside from a few splashes from some of the larger waves, we barely even got any water in the boat, always a plus in low temps. Bridge at the upstream end of the State Park. Paddling Trough Creek in the snow is nothing unusual. Stopping for a break at Copperas Rock, an overhanging rock outcrop that is a landmark within the park. 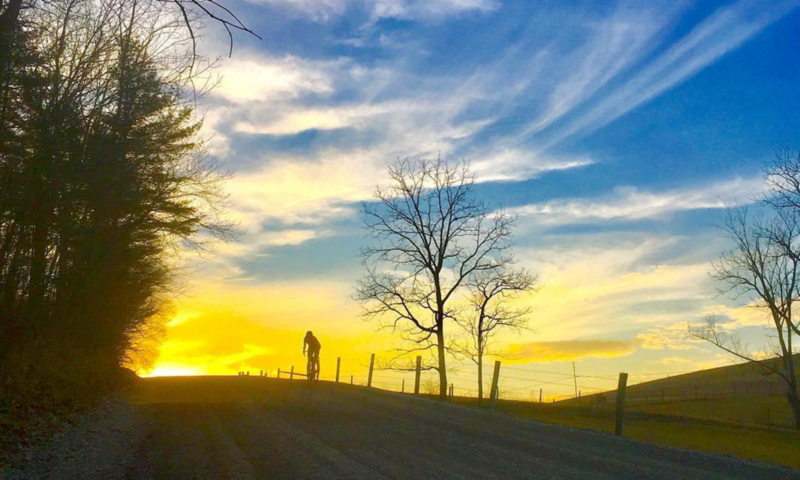 The first half of the paddle was only the warm-up, as things get a little more rocky and technical once you’re within Trough Creek State Park. 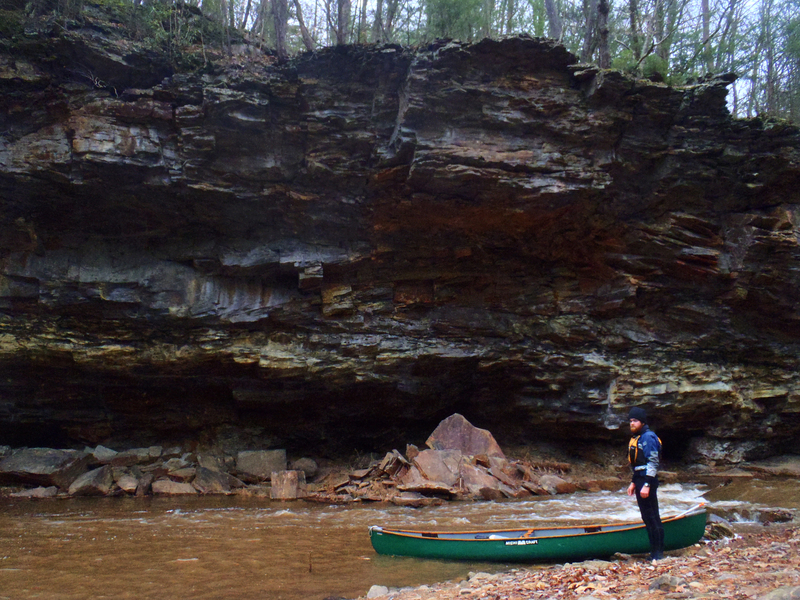 My favorite section, for both its fun factor and its aesthetic appeal, lies just downstream of Copperas Rock, where the gorge narrows even further and the creek turns into a series of ledges and holes flanked by mossy boulders. Shortly thereafter and often all too soon, the trip is done, and we take out at the location of a former dam in the stream. The dam was only recently torn down, and this was our first time paddling here since its removal. The restoration of flow exposed some new features just upstream, as well as made it easier to continue downstream to the lake (although many people I paddle with used to run the sluiceway of the old dam anyway). Having never been downstream of the dam in a boat, we decided to continue another few hundred feet to where Raystown Lake begins, then portage back upstream the short distance to the car. 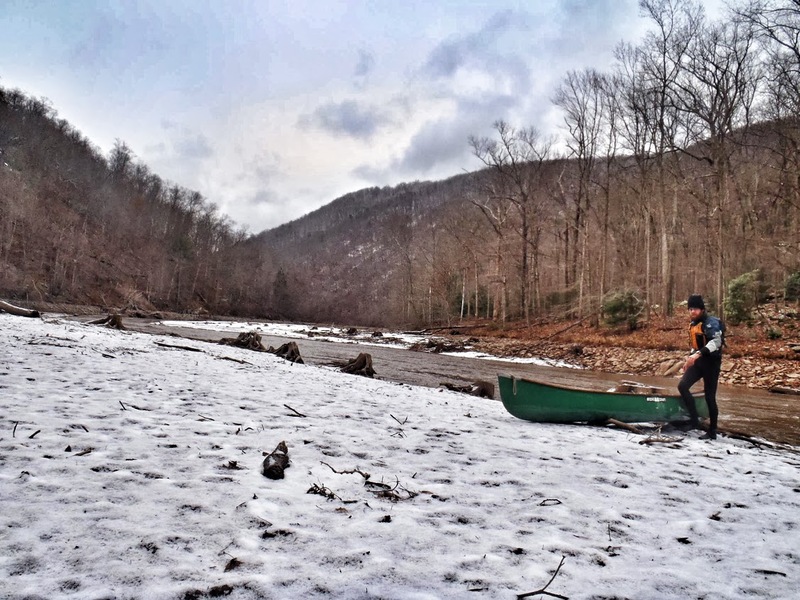 When we stepped out of the canoe onto the snowy, frozen shore, I realized just how cold I was. It felt like my feet might fall off, and I made the statement that my hands have never been colder in my life. This was definitely an exaggeration, but the walk back to the car and warmth was a swift one, nonetheless. 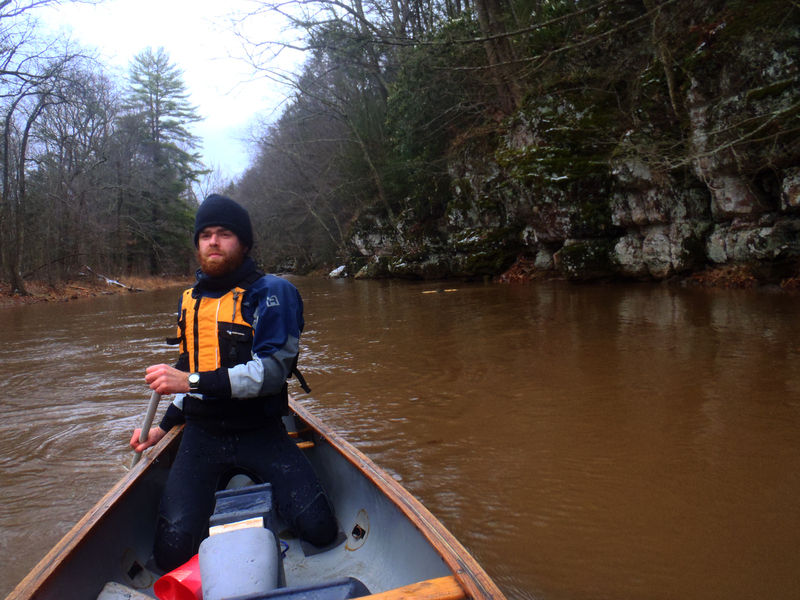 Most people cringe at even the thought of heading out to the river in sub-freezing temperatures, splashing through whitewater with the inevitable fate of being cold and wet. But I think there is something exhilarating about it—the thrill of navigating a particularly technical section, the shared company of other maybe-crazies, the stark beauty of the winter landscape with the barren trees, snow-covered rocks and contrasting green of the pines and rhododendron. It’s all of this that allows me to forget about the burning of my freezing hands for a while and laugh and whoop my way through features. And it is what keeps me coming back to do things like this, and enjoying it every time. Despite cold hands, this is always fun. You write well, Helena. Please, keep doing it. Previous PostPrevious A fat-tire’d, mud-slingin’, rock-skippin’ Sunday.